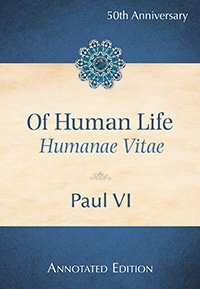 Fifty years after its release, the importance and prophetic nature of Humanae Vitae has become more apparent than ever. Pauline Books & Media has released a new edition of Pope Paul VI's encyclical letter in honor of its 50th anniversary to enable modern readers to more fully understand and participate in the document's wisdom and guidance. This new annotated edition includes a foreword by Helen Alvaré, providing historical context and pointing out several ways Paul VI has been proven prophetic in his teaching. Notes provided by Sr. Marianne Lorraine Trouvé, FSP, give brief explanations at points where contention and misunderstanding have been present regarding the document's meaning.